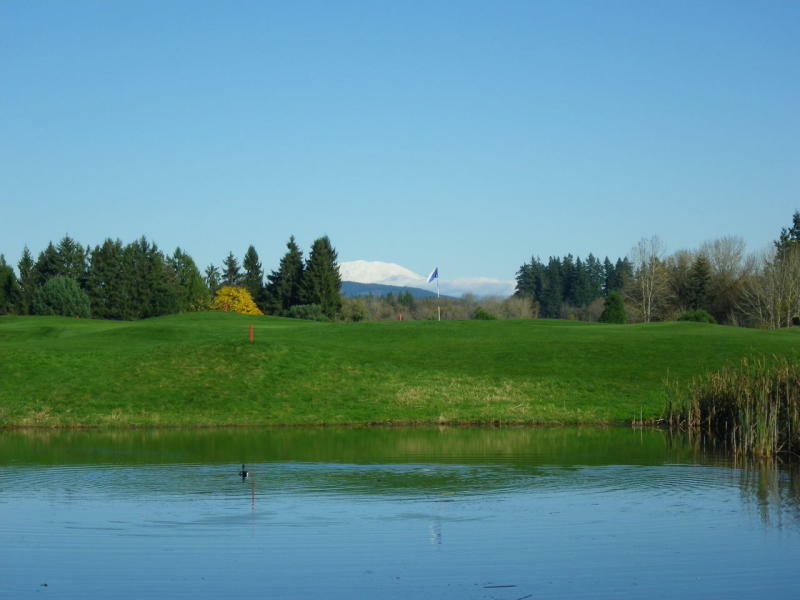 Tri-Mountain Golf Course, located in Ridgefield, Washington, is known for providing guests the utmost in personal service, a friendly atmosphere and a beautifully-conditioned course, all at an affordable price. Situated at the base of a valley and surrounded by Mt. St. Helens, Mt. Adams and Mt. Hood, Tri-Mountain Golf Course offers a picturesque vista and unmatched natural beauty golfers will not soon forget. While enjoying the natural scenery, golfers will encounter 11 lakes, 64 sand bunkers and award-winning greens which enhance the challenge and enjoyment of the golf course.